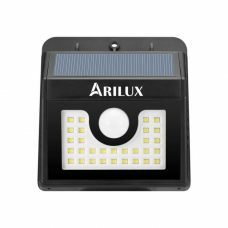 Three Head Super Bright 178 LED Solar Powered Security Wall Light with PIR Sensor is an advanced Brand New 2018 ARILUX® product with multiple features. 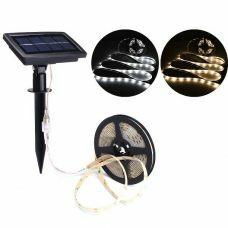 The wall Mega Lamp is fully operated by solar energy with efficient Solar Panel in combination with powerful 4400mAh rechargeable Lithium battery. The Super Light is designed for outdoor use and that does not require any additional electric wires or other sources of energy that. A solar panel is detached from the light body to provide necessary flexibility in running the light. The body shell can be installed separately from the solar panel that can be placed under direct sun. 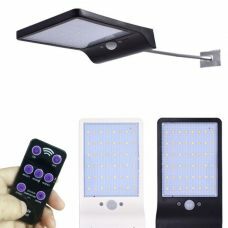 This featured PIR sensor lighting device can be installed in the warehouse, garage, garden, shed, house wall on a shade side, basement, under the shed and even indoor places. 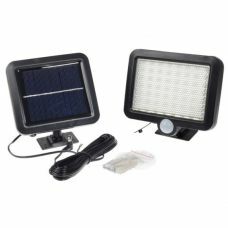 Solar powered sensor wall light is easy to install by fixing to the wall or fence and operate. 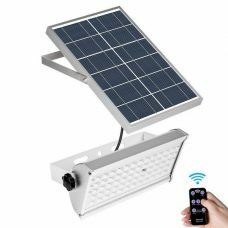 The device is a low-maintenance and cost-efficient Solar Product that provides outstanding performance without additional maintenance. - Upgraded Detached Solar Panel design to provide enough sunlight even at locations covered by shade. 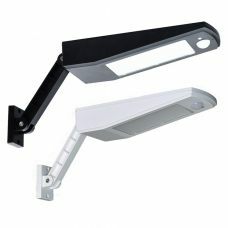 - Three independently adjustable lighting heads cover a wider area. 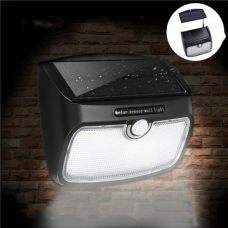 - Super Bright LED performance provided by 178 LED bulbs and supplied with 4400mAh built-in rechargeable battery. 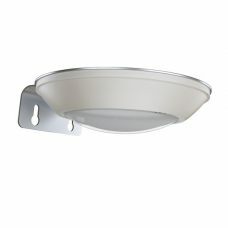 - Smart Motion Sensor activated within the range up to 10m. - Durable design. Waterproof and heatproof: enhanced water and weather resistance IP65. 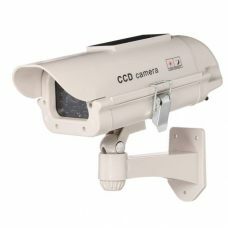 Due to IP65 enhanced waterproofness, it can be widely used for lighting up areas around a garage, basement, fence, patios, garden, yard, roof, stairway, walkways, driveways, business and commercial premises and other indoor and outdoor places. 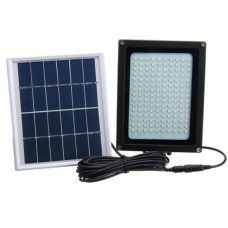 A detached solar panel allows using the sensor wall light in shade areas, under the roof and even indoor.